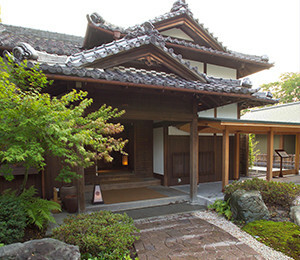 This is the Japanese-style building adjacent to the Tokugawa Art Museum and the Tokugawa-en Garden. 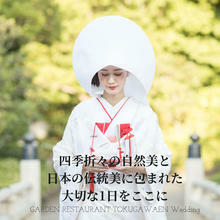 There are a banquet hall and a restaurant overlooking the beautiful Japanese garden. 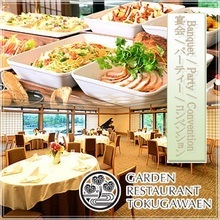 The rustic yet refined effect of the cultural blend of Japanese and French that can be felt in the atmosphere along with original and innovative French dishes that incorporate the finest Aichi ingredients make Garden resutaurant tokugawaen the must-try restaurant in Nagoya. The banquet hall accommodate up to 120 guests for a cocktail style reception and 80 guests for seated style party. 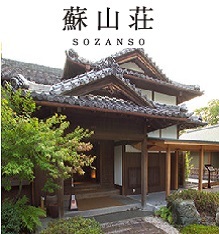 You can enjoy a fusion of French and Japanese cuisines, variety of wines, Sake and Shochu these go well with meal.